On Sunday, November 11, 2018, Ericka called her husband, Michael Branch, that morning complaining of pain in her lower back. Her son, Michael, Jr., took her to the emergency room because she said the pain was unbearable. They admitted her right away but she soon had to be airlifted to another facility because the hospital she was at was not equipped to handle her emergency. Ericka suffered from high blood pressure. As a result of being prescribed the wrong medication, her body retained fluid. It grew worse over time. Previously, her husband Michael had taken ill in July 2017 and had been out of work from November 2017 until February 2018. He works as a independent contractor as a truck driver, so when he couldn't work he couldn't make money. Ericka had been a homemaker. However, she went back to work in a job that required her to stand throughout her shift to help sustain them while helping nurse Michael back to health. He started working again in February 2018. At the time, Ericka continued to work at a job that didn't properly support her health issues. And, with her medical condition, the constant standing took a toll on her body. By September/October, Ericka's family and friends had noticed her significant weight gain. Michael also noticed that when she would come home from work, her legs were hurting so severely that she could barely walk. This happened so often that he finally asked her to quit her job in mid-October and she did. Then, she went on the road with him as he traveled from city to city completing his runs up until October 30, 2018. Due to the fact that she did not want to worry her family and friends, Ericka did not share with the family what was going on. The doctors kept running tests to try to find the root cause of the issues she was having and changed her blood pressure meds several times but she did not get better. Finally, she went to the hospital complaining of lower back issues and she was immediately admitted. Because there were complications, she was airlifted to another facility to have immediate surgery. Upon arrival at the second facility, it was determined that her body was not stable enough to have the surgery. And, she would have to wait 14 days. Her body could not wait. And, she passed on Monday, November 19, 2018. 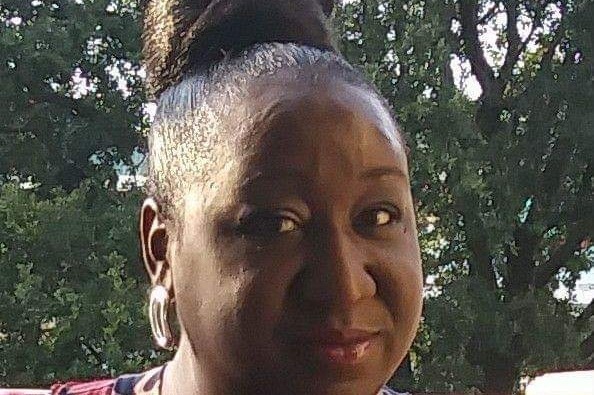 The family loves Ericka dearly and wants to ensure they have a home-going service that honors her legacy as a loving wife, mother, daughter, sister, cousin, and friend. The service will be on Saturday, December 1st in the morning. The details will be shared once they are finalized. Your donation will help support the family as they cover the costs for the memorial service. It would be greatly appreciated if donations are made by Friday, November 30, 2018.